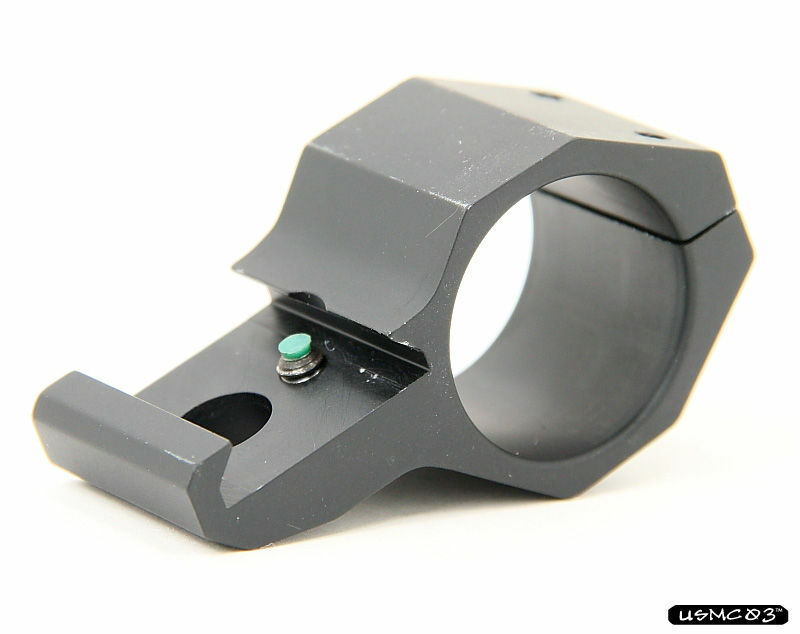 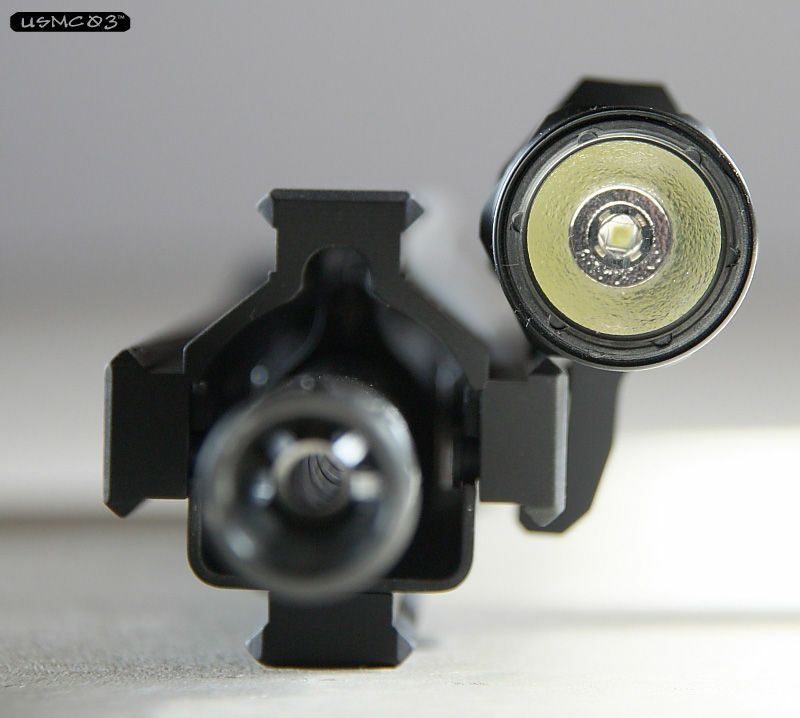 About a month ago on www.lightfighter.net Jon (aka M4Guru) announced his company Danger Close Consulting would be offering three different low-profile light mounts for the Surefire G2, Surefire 6P, or Surefire "E" series. 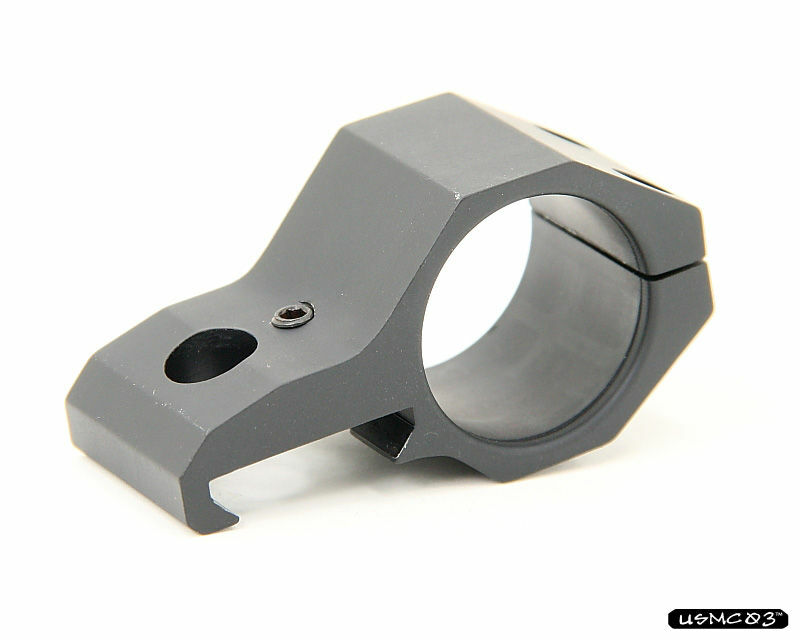 I have been running the Danger Close Surefire G2 mount for a few weeks, and I've been very impressed with the design and the quality. 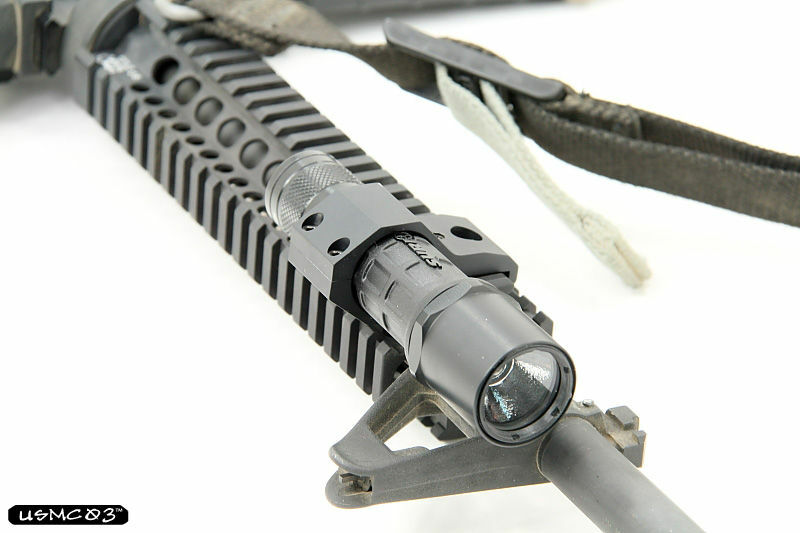 I have tried the light mount on several different rail systems. 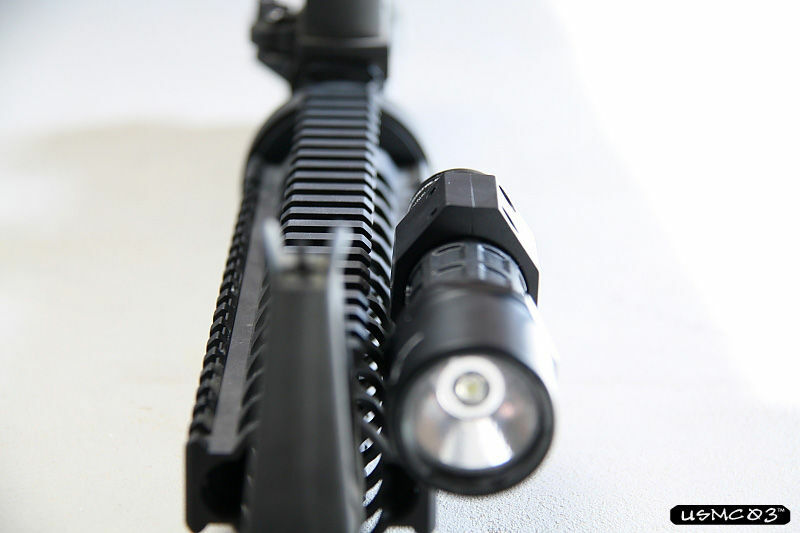 I had no issues fitting the light mount onto LaRue, Daniel Defense (Lite, RIS II, and Omega X), Vltor VIS, PRI, or KAC free float rails. 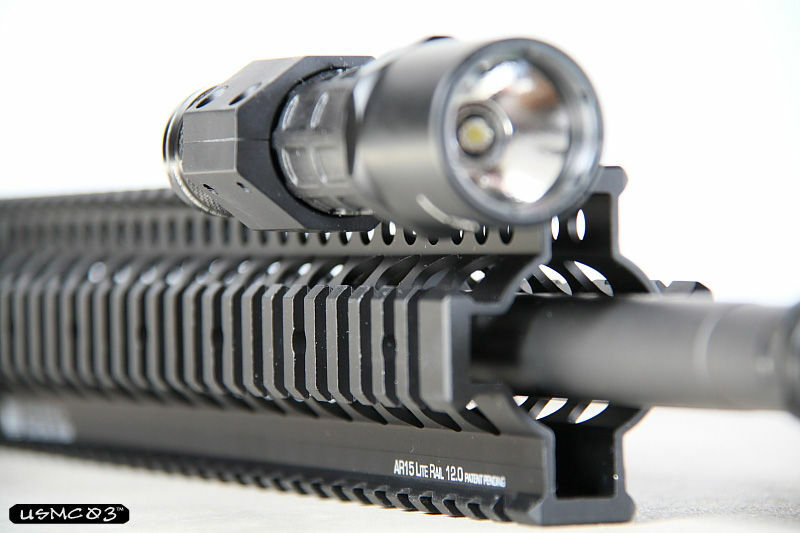 Even though the specs and shapes of each of these rail systems are a little different, the Danger Close light mount fit each rail without issue, and kept the light very close to the rail. 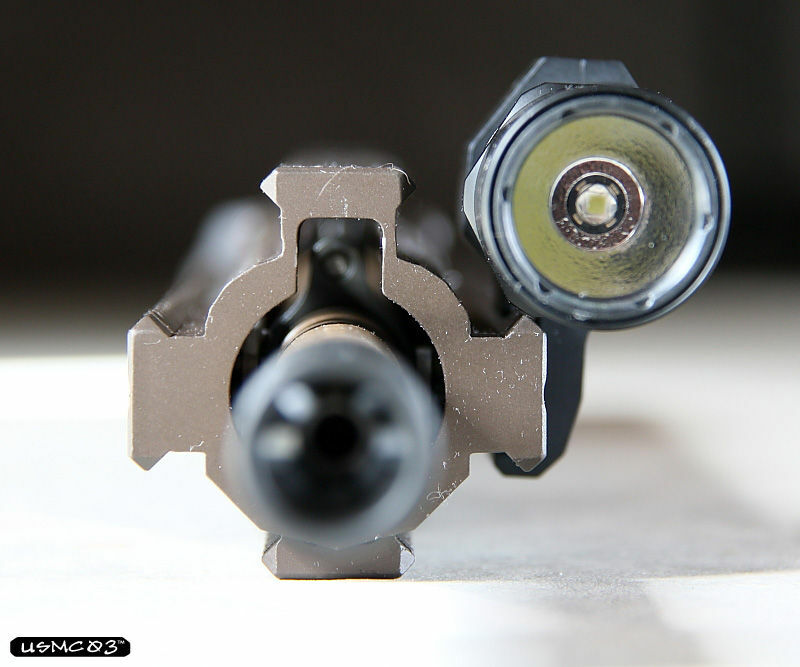 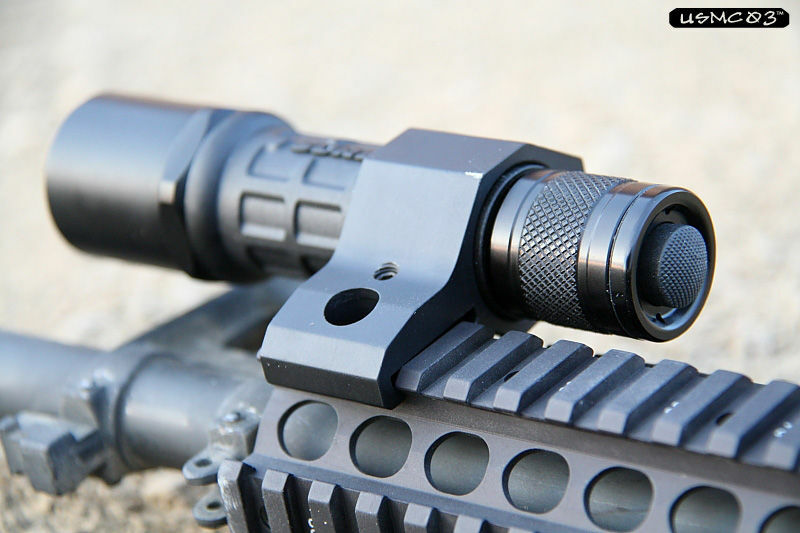 The Danger Close Surefire G2 mount weighs 1.4 ounces. 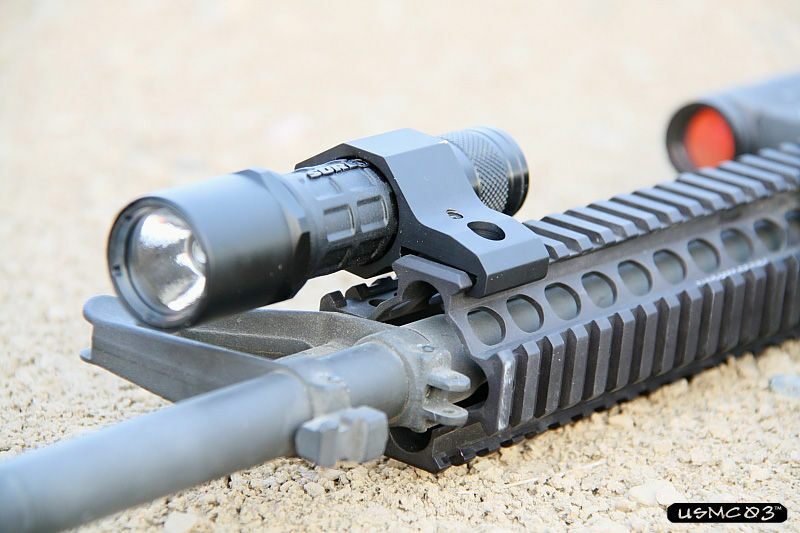 The G2 mount with Surefire G2 (with LED bezel, aluminum clicker tail cap, and two CR123 batteries) weighs only 6 ounces. 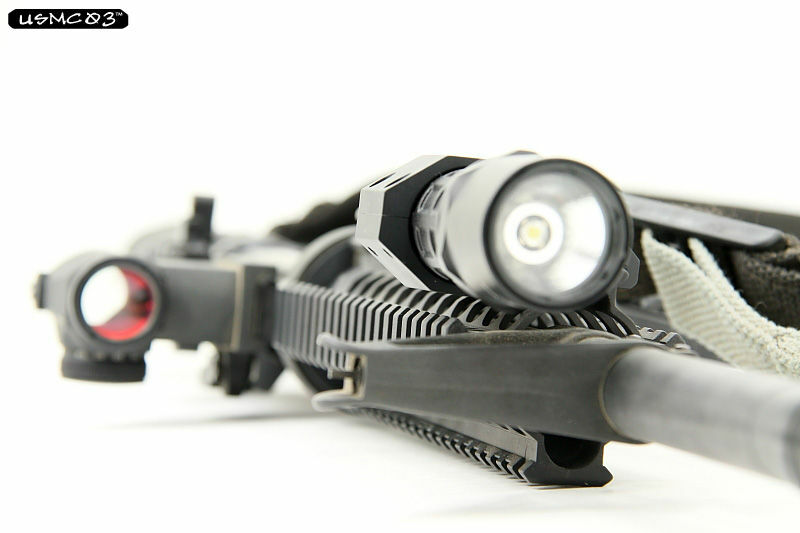 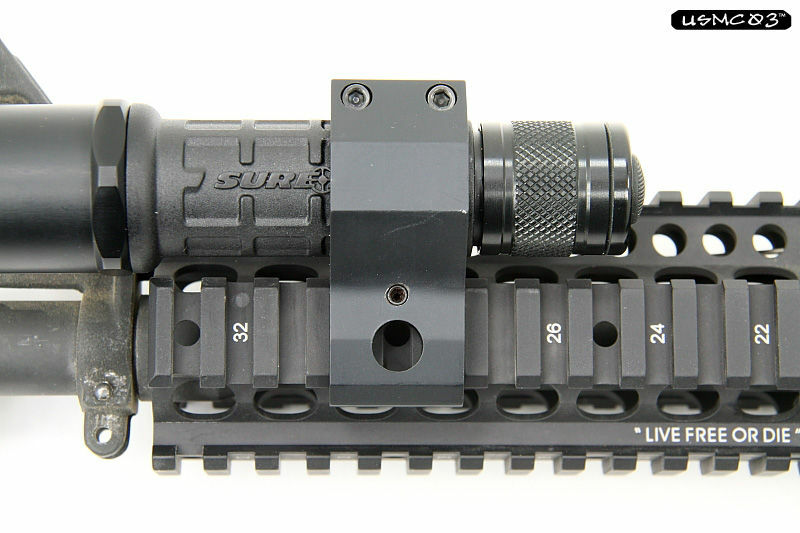 As a frame of reference, I've always considered the Surefire x300 on a LaRue Tactical mount to be a lightweight weapon light. 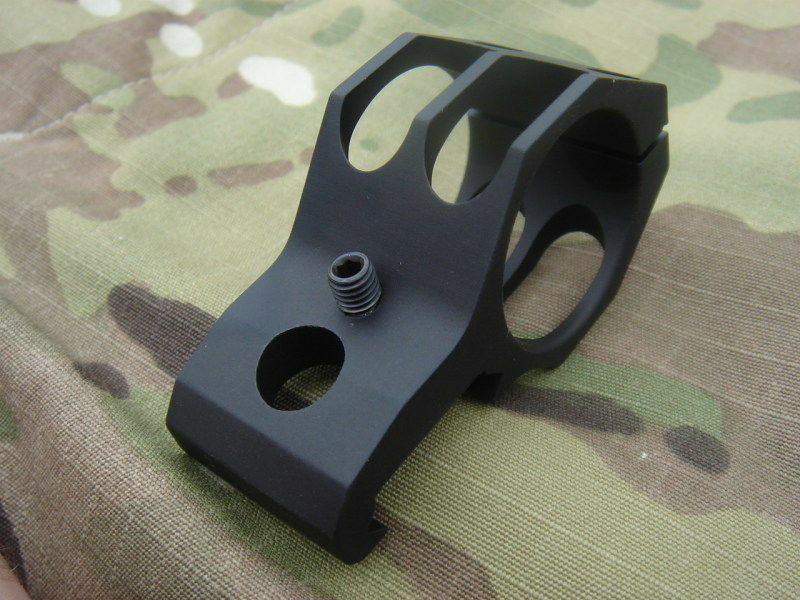 The x300 in LaRue mount weights 5.6 ounces. 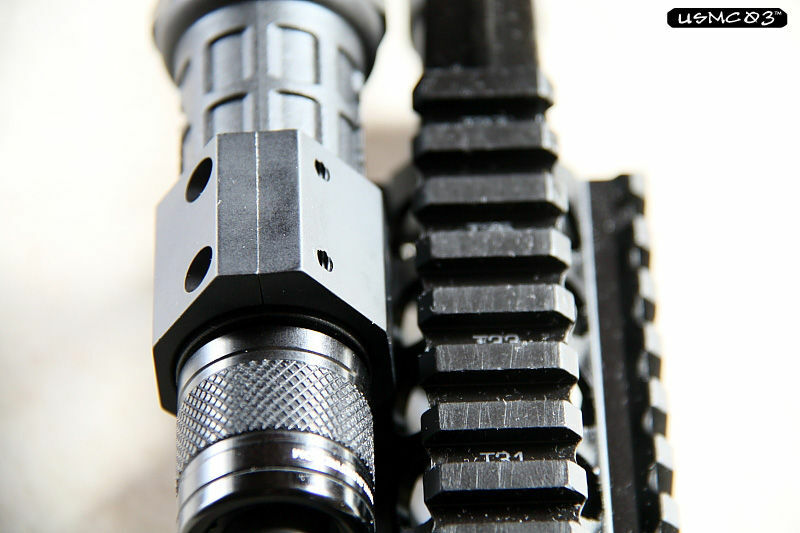 Below are a series of pics showing the Danger Close G2 mount on several different rail systems. 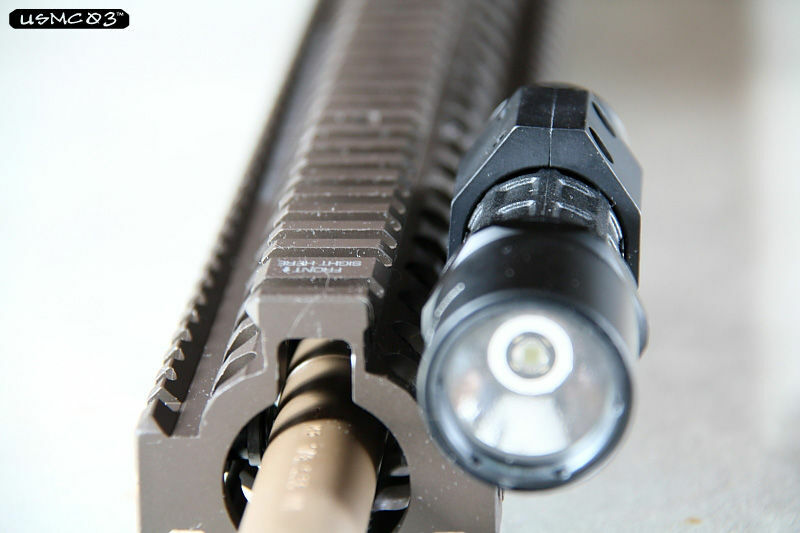 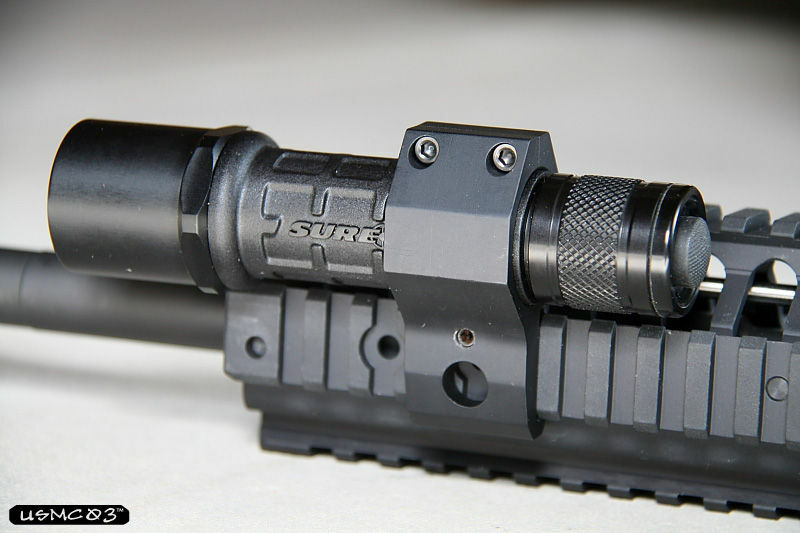 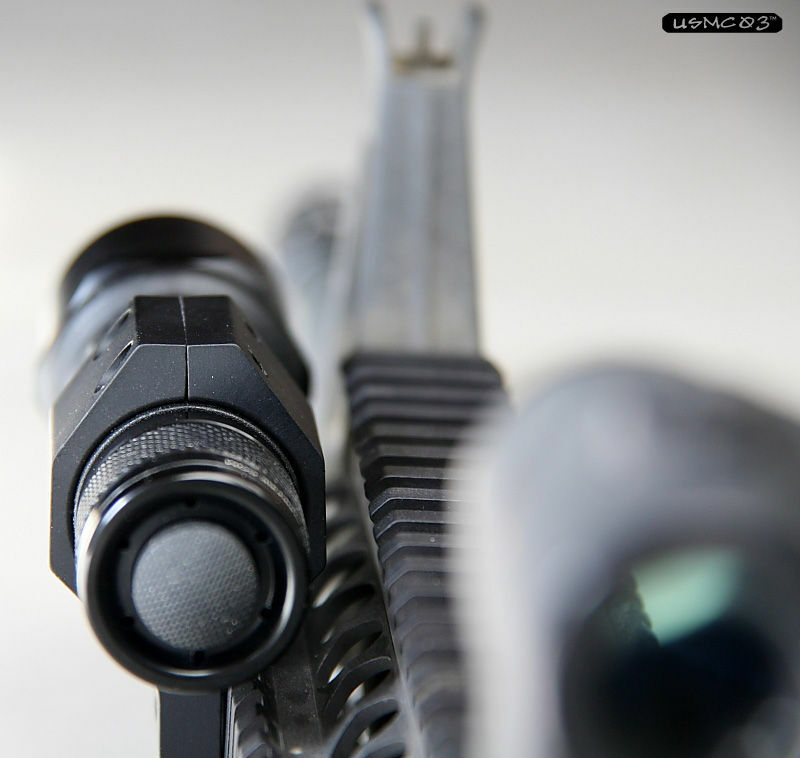 Note that the bezel of the Surefire G2 does not contact any of the rail systems. 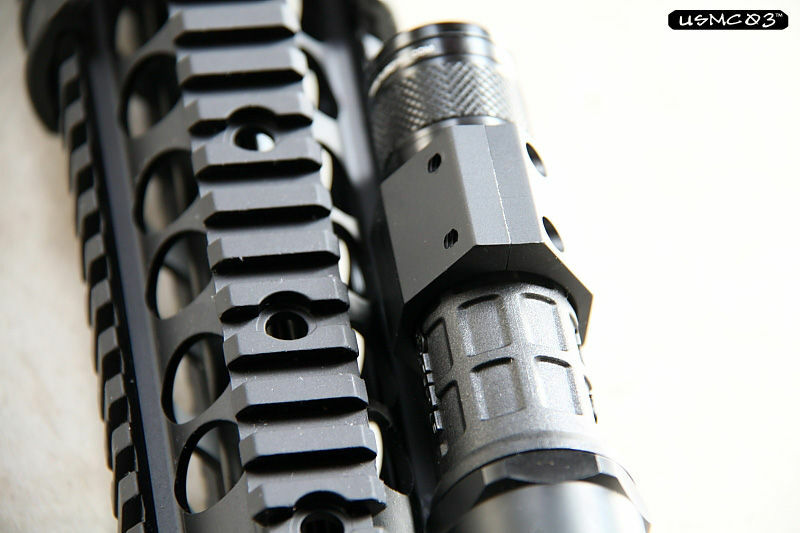 Another shot of the Danger Close Surefire G2 mount on the Daniel Defense RIS II. 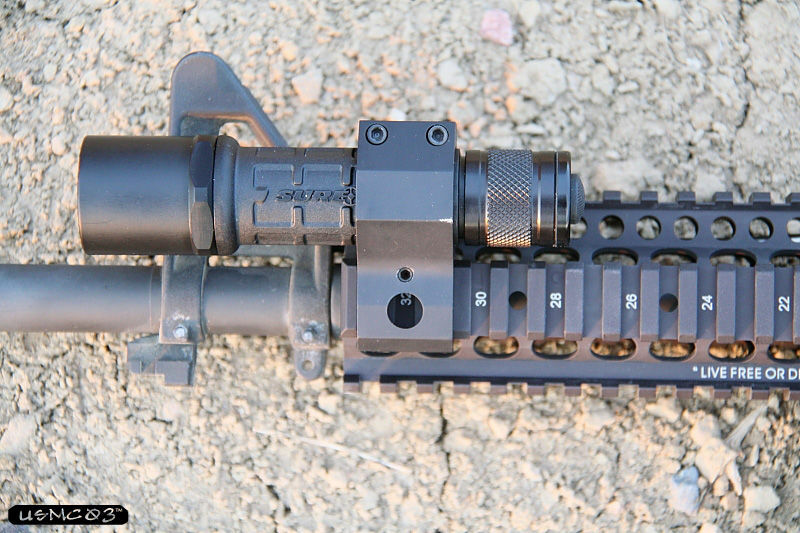 This shot shows how close the light and mount sit to the rail without either the mount or light bezel touching the rail system. 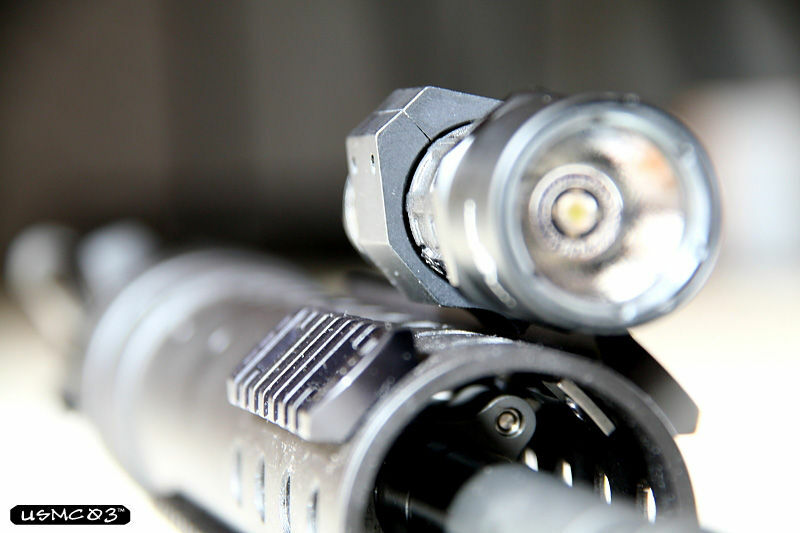 I am a Police Officer by trade, and one observation that I have made during my career is that cops are cheap. 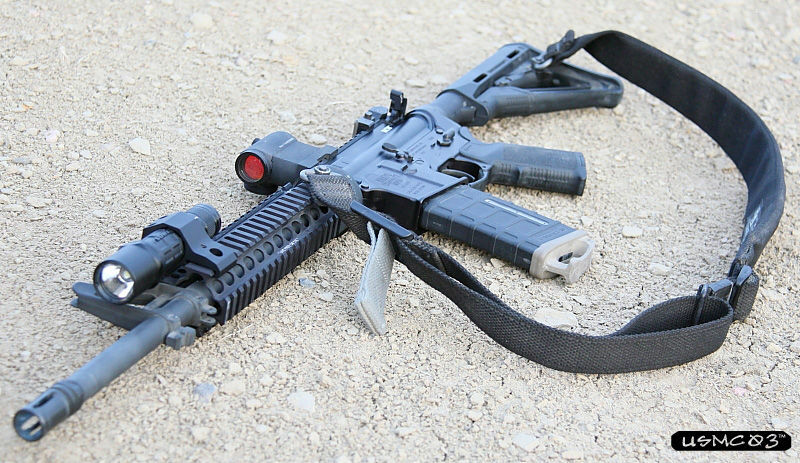 Most police departments don't have "deep pockets", and in a large majority of agencies the individual officer has to provide his own patrol rifle. 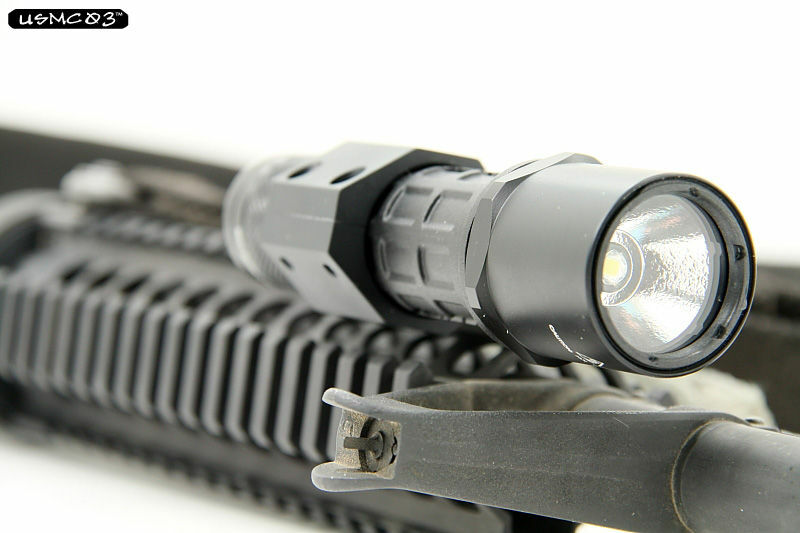 Most LEO's probably already own a Surefire G2, 6P, or E2 series light. 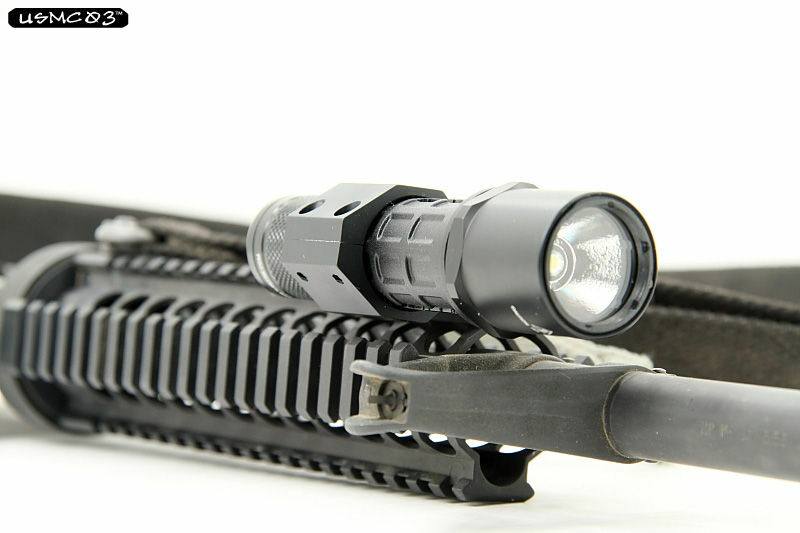 Even if the individual officer doesn't own one of these Surefire lights, he could get the light, the mount, and rail for under $100.